Are Juniper Berries the Same As Capers? It is fairly understandable for some of us to mistake juniper berries for capers and vice versa, since they are similar in size, shape and appearance, and are both used in cooking. But they are not the same and come from two different plants. Juniper berries are not the same as capers. Juniper berries are produced by the juniper shrub, a coniferous plant in the genus juniperus that is indigenous to the northern hemisphere. The berries are not really berries, but are actually female seed cones that resemble berries. All junipers produce berries, but only a number of species are edible including Juniperus communis, Juniperus drupacea, Juniperus oxycedrus, Juniperus phoenicea, Juniperus deppeana, and Juniperus californica. Others are too bitter to eat and some are toxic. In the kitchen, juniper berries are used as a spice, particularly in Europe and the United States. They are used in sauerkraut and in marinades for beef, wild birds, game and pork and enhance stuffing, sausage, stew and soup. They need to be crushed before use. The berries also provide gin with its distinctive flavor. 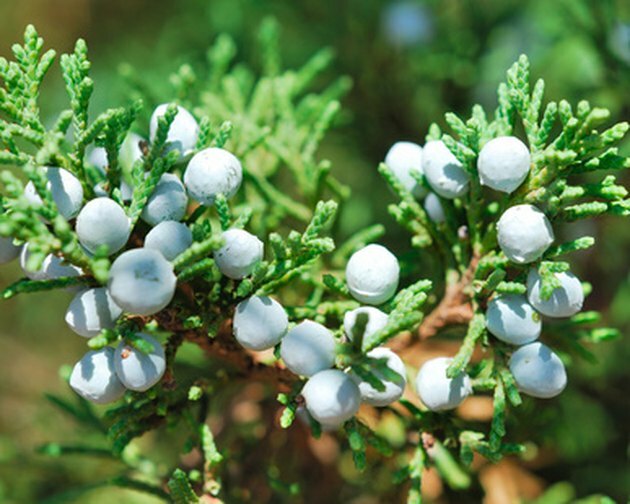 In addition, juniper berries have been used by herbal medicine practitioners for hundreds of years. Capers are the unripened buds of the caper bush, Capparis spinosa, a perennial widely spread throughout the Mediterranean. They are closely related to the cabbage family, which includes other edibles as cress, horseradish, mustard and wasabi. Capers are categorized by their size, with the smallest sizes being the most desirable and expensive. From smallest to largest they include non-pareil, surfines, capucines, capotes, fines and grusas. Capers are pickled in vinegar, brine, wine or salt prior to use. This curing brings out their tangy flavor that makes them popular in Mediterranean cuisine, especially in Sicilian and southern Italian cooking. Capers lend their distinctive flavor to and are widely used in salads, pastas, vegetables, pizzas and meat dishes and are also one of the ingredients of tartar sauce.